Ideal as promotional jump fillers or publicity at the sides of arenas etc. Banners can be almost any size with your own design. Double sided banners are very cost effective. Banners printed on both sides mean that when photographed, your publicity / design will also be seen on the photograph for extra, long lived exposure. Choose from either repeating the front design on the reverse or having a second custom design. Sponsor’s banners are usually 60cm high to allow a course builder to put a pole on top. However you have the option of a 50cm banner or you may prefer the height of our standard training banners of approx 80cm. 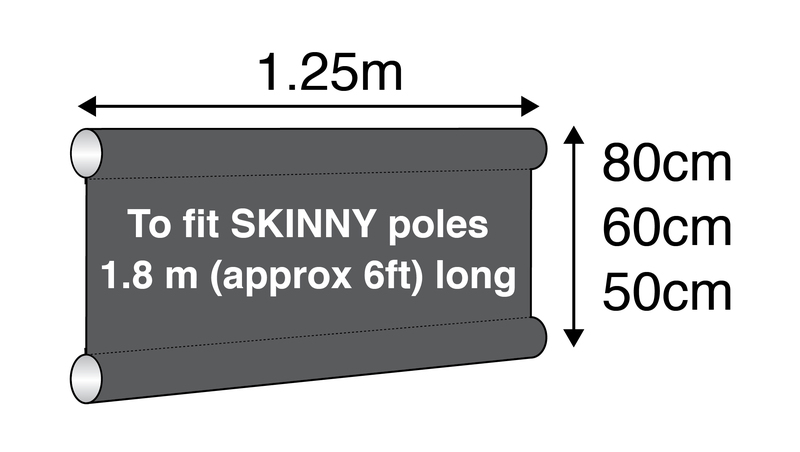 Be the first to review “Custom ‘standard’ to fit 3m poles” Click here to cancel reply.